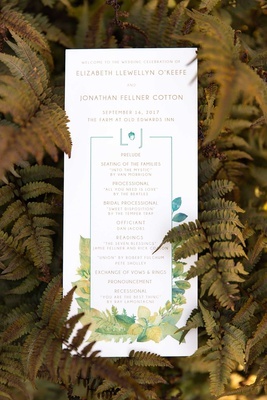 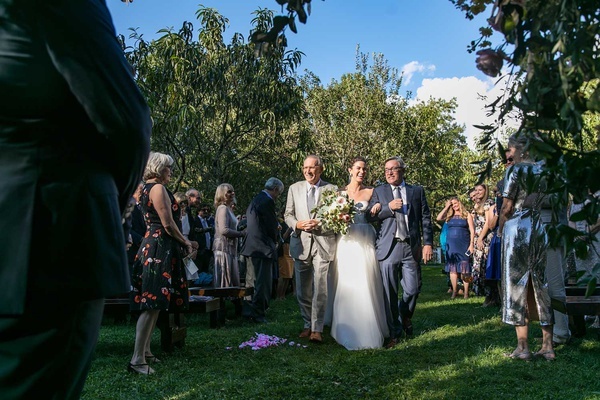 When deciding where to exchange vows, New Yorkers Elizabeth O’Keefe and Jonathan Cotton desired a setting much different from their everyday life in the city. 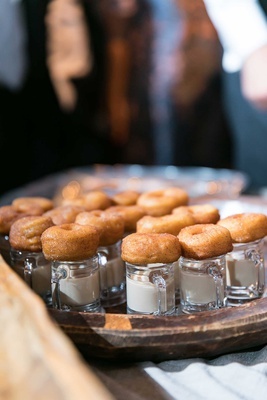 “We wanted a ranch-like, almost high-class summer camp vibe,” explains Jonathan of their vision. 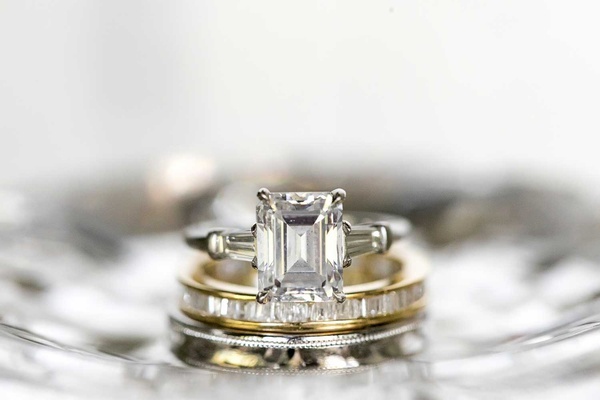 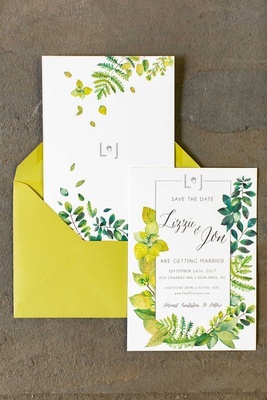 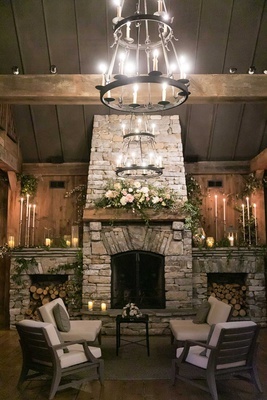 Nestled among rolling hills, the affianced pair found exactly what they were looking for at a country inn in Highlands, North Carolina. 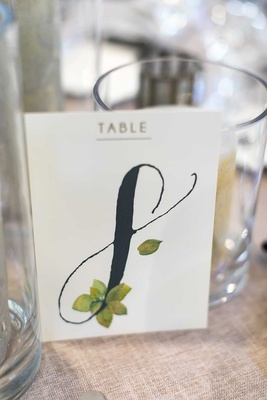 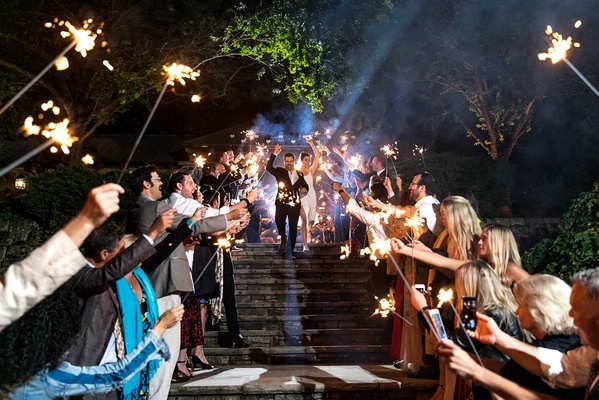 To ensure 180 guests could celebrate properly all weekend long, Elizabeth and Jonathan rented out the entire property. 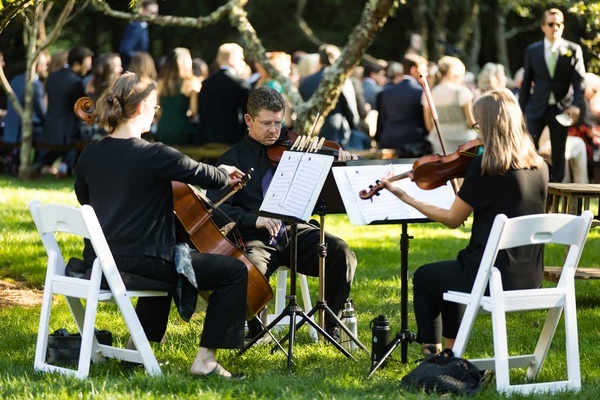 The festivities included a barbecue welcome party complete with lawn games, as well as additional activities throughout the weekend – such as hikes and canoe trips – to keep loved ones entertained. 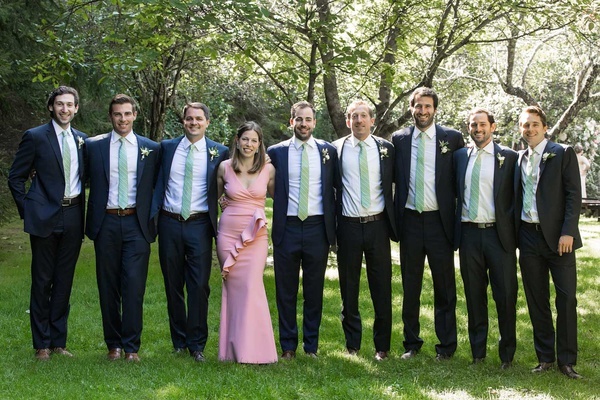 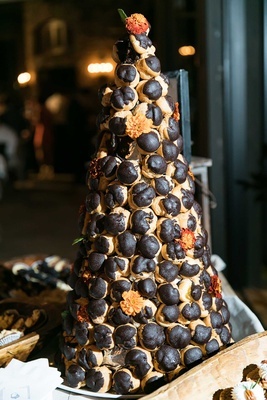 “It was so fun to have all of our different groups of friends together, hanging out, and getting to know each other – making it the perfect weekend for us,” shares the groom. 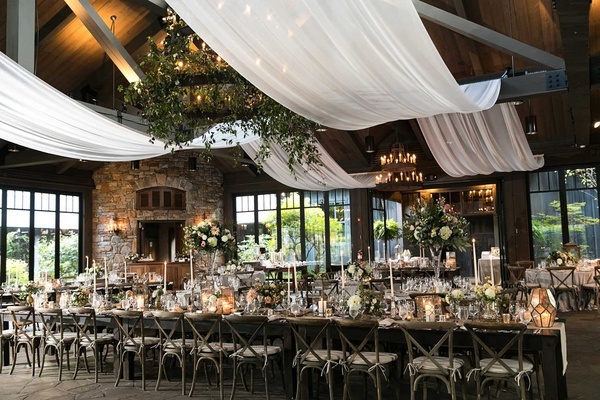 After the bride and groom recessed to “You Are the Best Thing” by Ray LaMontagne, loved ones entered the elegantly rustic reception space. 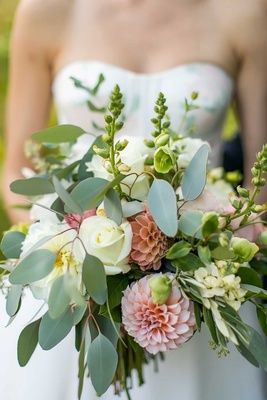 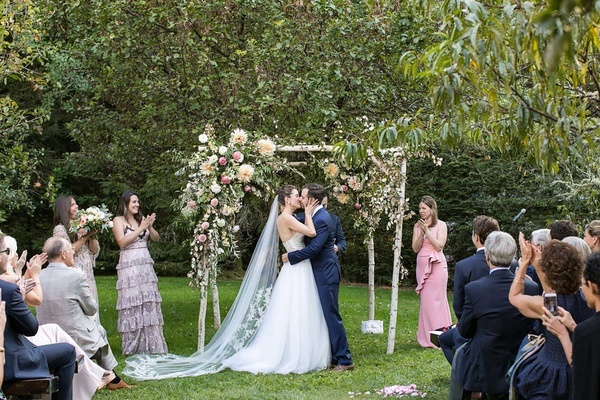 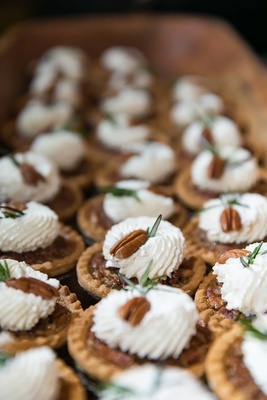 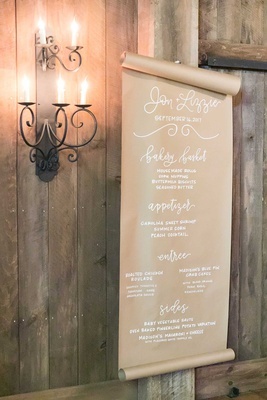 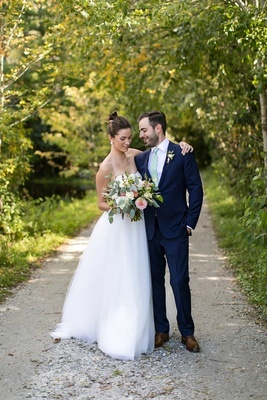 The delightful décor was inspired by the pale pink, sage, and vanilla pattern on the bride’s dress, as well as the barn itself and the nearby apple orchard. 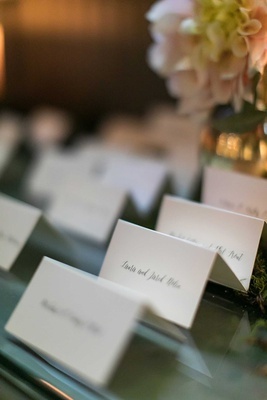 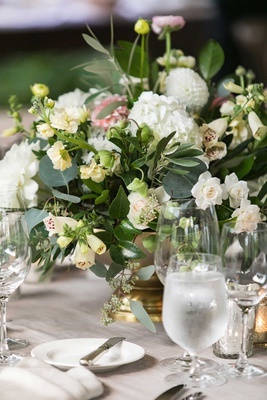 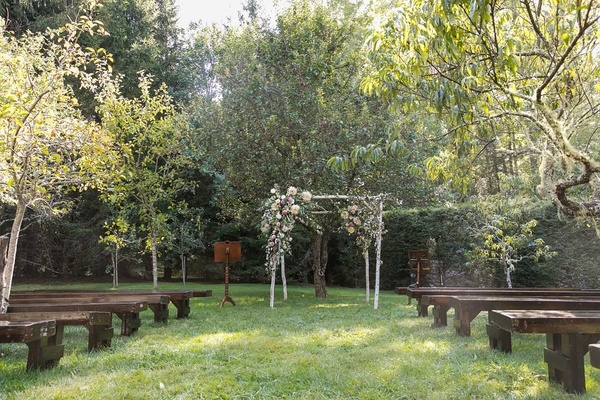 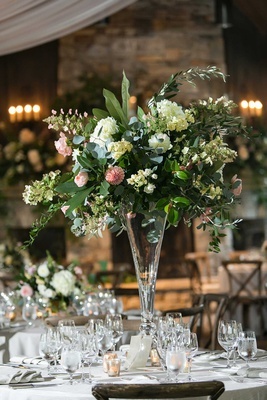 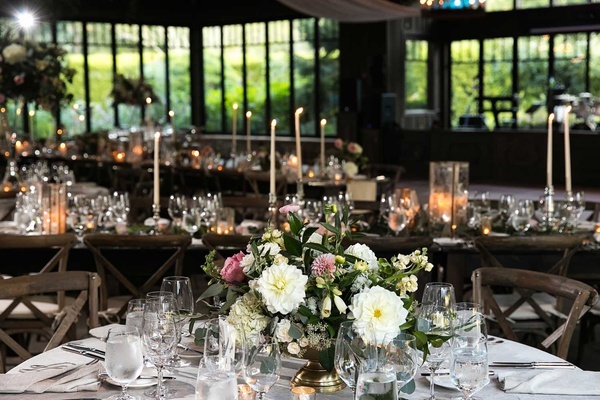 Long wooden tables, as well as round varieties covered with ivory linens, were surrounded by vineyard chairs and decorated with a mix of high and low centerpieces composed of hydrangeas, roses, dahlias, and verdure. 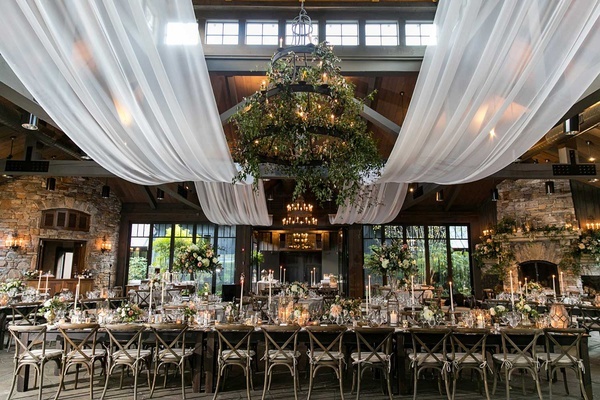 The venue was given a luxurious look by way of drapery woven through the wooden beams overhead and a large iron chandelier adorned with fresh greenery.